The Electoral Commission of Zambia has set April 11, 2019 for the Bahati and Roan constituencies by-elections. as the date on which to hold the Parliamentary, and Local Government by-elections in Bahati Constituency of Mansa District and Roan Constituency of Luanshya District. 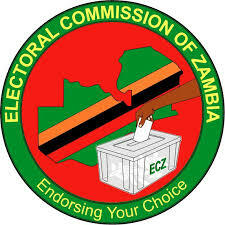 In a statement, ECZ public relations manager Margaret Chimanse disclosed that on the same date, the Commission will also conduct seven local government by-elections in Chinyanja in Kabwe, Makunku in Itezhi-tezhi, Chilyapa in Mansa, Lengelengenda in Chavuma, Mfinshe in Mungwi, Muyondoti in Mitete and Muchinga in Chama. According to Chimanse, the by-elections in Bahati and Roan constituencies had been necessitated following the expulsion of incumbent MP Harry Kalaba on January 28, 2019 and the crossing of the floor by Chishimba Kambwili of Roan from Patriotic Front (PF) to National Democratic Congress (NDC) as declared by the Speaker of the National Assembly on 27th February 2019. The vacancies in Chinyanja, Makunku, Chilyapa, Lengelengenda, Mfinshe, Muyondoti and Muchinga wards are as a result of resignations and deaths of councillors.